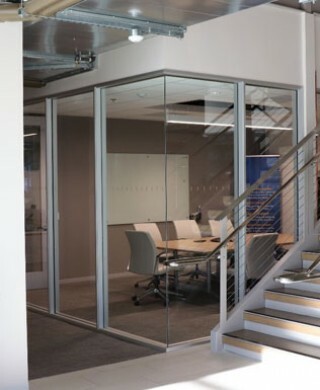 Alpha’s door frames with sidelites bring that bright and open look that modern efficient offices require. Architects, designers, engineers and construction professionals will be impressed with the completed project when using Alpha’s products. Engineered for the perfect installation every time. Beveled edges for ease of installation over wall board. Pre-drilled screw holes to eliminate damage to drywall and frames from slipping of screw head. Adjustment slots to ensure the balanced install without damaging frames in the process. Extruded aluminum, alloy 6063-T5 - is a precipitation-hardened aluminum alloy containing magnesium and silicon as its major alloying elements. How to choose the color? You can choose the desired color for your door(s) in the quote request. Alpha’s commitment to quality starts before our product is even extruded. Alpha requires only premium quality aluminum to ensure that we have the best finish as well. Alpha carefully quality controls every step of the manufacturing process. Our experienced manufacturing crew, top notch quality assurance team and professional packaging experts make sure that your product arrives on time and in excellent condition. ALPHA warrants that the products/components manufactured by ALPHA (a) will be free of material manufacturer defects and will substantially conform to their normal intendedcommercial use, and (b) are designed to substantially maintain their durability (“Durability”), for a period not to exceed one (1) year from the date of purchase (the “Warranty Period”), with such warranty being expressly subject to the product/components being used undernormal operating conditions and installed per ALPHA's instructions. Buyer’s sole and exclusive remedy in the event a product/ component breaks, comes apart or otherwise loses its functionality, (a“Failure”), and such Failure was a direct result of a design or material defect, then ALPHA, at its sole discretion, shall either (a) replace the failed product (excluding installation costs), or (b) if replacement is not commercially practical or cannot timely be made, then ALPHA will refund the amount paid for the failed product, exclusive of installation costs and related service (the “Product Price”).